Dave Kosak: "Artifacts will be a Legion-specific thing"
We’re all excited for Legion and the mass of new content it brings, and some of that content comes in the form of Artifacts such as Strom’kar the Warbreaker. Many of us have wondered if we’d continue to use the Artifacts going forward into whatever we’re going to do in a post-Legion world. Dave Kosak, lead narrative designer for World of Warcraft, has come and answered your question. No, we will not be using these Artifacts after Legion. The Artifacts will be a major feature of Legion, but not a system that carries forth beyond the expansion. 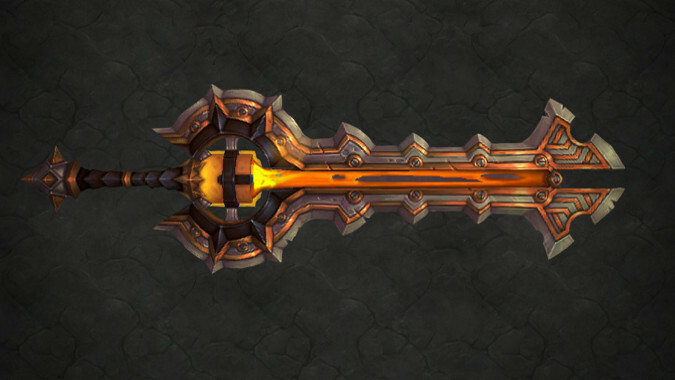 One of the points Kosak makes in the article is that the Artifact was really a means to deliver class-specific content, an iteration of the old class quests from vanilla WoW, and as such I think it makes perfect sense that they wouldn’t be your forever weapon — eventually their stories will be told and we’ll move on to new items. With Artifacts, you essentially have 36 class-specific stories, more than one per class. As a delivery mechanic for story married to a system for class empowerment, I’m not surprised we won’t be using them after Legion. For the full interview, including details on how Artifacts make the play experience different for different classes, check out Polygon.